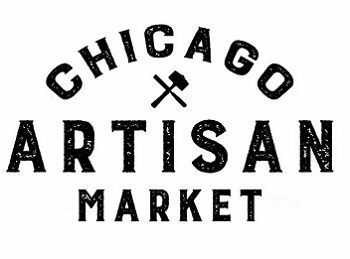 The Chicago Artisan Market is produced by INV Marketing Group, a Chicago-based company. We have worked with small-business owners and independent artisans for nearly 15 years. We are the team behind the StyleChicago.com media property and StyleChicago.com signature events. Over the last 12+ years we have produced over 75 successful pop-up shopping events. We produce & market the Chicago Artisan Market in downtown Chicago. This indoor market is currently held four times a year in Spring (March), Summer (July), Fall (September) and Holiday (December). We also produce the Oak Brook Artisan Market, a 2-day outdoor market at Oakbrook Center. In 2019, OBAM will be held on 3 weekends this Spring (May 18-19, 2019), Summer (August 10-11, 2019) and Fall (October 5-6, 2019). We have produced large-scale pop-up shopping events (FashionChicago) and runway shows (StyleChicago.com’s The Art of Fashion) at venues like Millennium Park and Union Station – with as many as 15,000 shoppers over a single weekend. We have produced over 75 successful pop-up shopping events. What are some common themes in all our events? We offer affordable exhibit space and selling opportunities for independent, small businesses. Nearly 70% of our exhibitors are women-owned. Our guests / shoppers have a reputation for being the nicest, most positive people who are generously supportive of small businesses! We are beyond excited to bring you the Chicago Artisan Market. Our mission is to create and sustain a community marketplace which supports local artisans and small businesses. We value working with people and businesses that run on passion, hard work and dedication. Our events are successful because we work with great people. We launched INV Marketing Group in 2004 with the goal of helping people find the best local businesses and events. Along the way, we’ve created events that we would want to attend ourselves. Although we cannot accept everyone who applies, we appreciate the opportunity to grow our community. If we’ve worked together in the past, just email us to get the process started. If you have not worked with us in the past, please apply here. It’s free to apply, and our table/booth fees are reasonable.